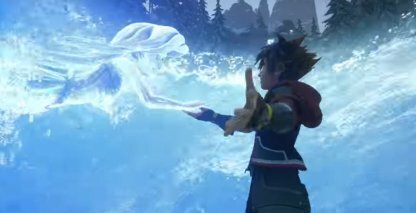 Check out this Kingdom Hearts 3 (KH3) guide and list on all the unlockable Link Summons you can have in the game! Learn more on where and how to unlock or get them, their effects, boosts, and more! (Ralph) Ralph will build blocks with cannons wherever you want them to be. For his Finisher, he hits the blocks which then explode to damage all those around it. (Simba) Call forth Simba in flame form! Jump high and damage enemies you land on. For his finisher, he jumps up and smashes against the ground, releasing a huge circle of fire! 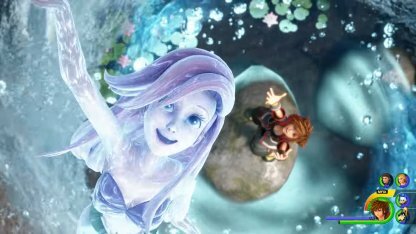 (Ariel) Sora will be able to dive to the ground as if it was water! Ariel and Sora will alternate in appearing above ground and damage any enemy they hit when diving down. For the Finisher, they summon columns of water in a wide area! 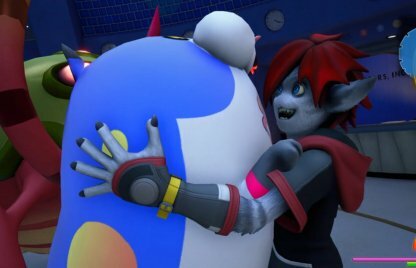 (Stitch) With Stitch, Sora will be able to create geographic laser fields and catch enemies in them. Stitch will then fry all those caught in the laser fields in his Finisher! Wonder Balloon comes from Kingdom Hearts 3DS game - Dream Drop Distance! His summon is readily available, but its low attack power makes it easily replaceable by other Summons. 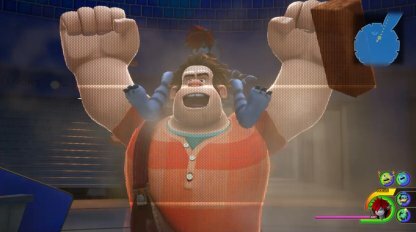 Wreck-It Ralph has come to wreck some Heartless! His melee attacks are strong and his cannons can attack from long distance. Using his summon during boss fights are a bit hard as you have to position the blocks around. Feel the King's wrath. 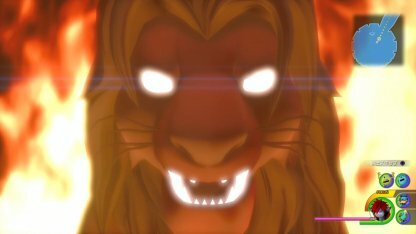 Simba's attack are easy to use and can damage a large group of enemies. His summon is best used when fighting against enemies weak to fire as that is his main attribute. Ariel has come to the rescue! You'll be able to damage enemies while also avoiding getting hit as you dive underground. It's not as strong as the other summons, but its a good way to escape for a bit during battle. Call forth this adorable alien to cause havoc on your enemies! Stitch's laser fields are a great crowd control attack as long as you can catch the enemies within it. Try to predict enemy movements to successfully create a plasma field around them. Link Summons will have their own set of commands and abilities, allowing you to partially be in control of what they do in the battlefield. When using any Summon, Sora's HP will be fully recovered! This makes calling forth a summon valuable when you find yourself in a tough battle and your health is low. Using any of the summons will fully deplete Sora's MP bar! Time when you call your summon, especially when you're using Magic-based equipment and abilities or you may find yourself unable to attack using your abilities.